we've got a lot of big, exciting projects coming along at work right now. one of the projects i've been pulled in to work on is to re-brand our store (formerly known as "the book nook"). the biggest point marketing wanted to emphasize was that we're not just selling books anymore, and we want people to think of this as the place to shop for UCC "stuff". to that end, i designed the logo above using words and icons that highlight the kinds of things that will be available for purchase. below that is an example of the store signage, which will focus on categories of items, and then we'll have two "generic" store banners with icons and the logo. 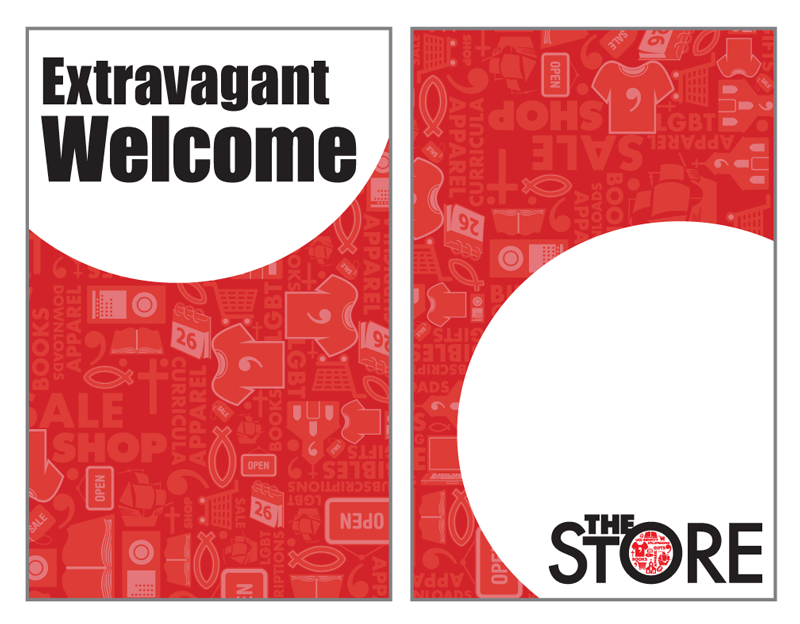 the store banners will be hung on tension rods so that they can easily be turned around when the store isn't open for business. this is an example of how i designed the back sides of the banners using established UCC images and themes, with a design that compliments the store identity.